Deviant/Diesel Race Parts was founded in 2009 for enthusiasts, by enthusiasts, to eliminate common problems associated with late model diesel pickups. Our products will not only improve reliability, as they are built to last the life of your vehicle, but you can also see improvements in mileage and performance. 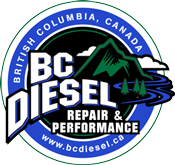 Our goal is to provide the diesel performance industry with innovative products, excellent customer service, and reasonable prices. We design, manufacture, and R&D in house on our own vehicles, so rest assured, Diesel Race Parts will get you there AND back home. 2001-2004 GM 6.6L Duramax LB7 - GM's factory transmission lines leave something to be desired. DRP's 1/2-inch cooler line kit completely replace the OEM lines with 1500psi rated industrial hydraulic lines. 2006-2010 GM 6.6L Duramax LBZ LMM - GM's factory transmission lines leave something to be desired. DRP's 1/2-inch cooler line kit completely replace the OEM lines with 1500psi rated industrial hydraulic lines. 2011-2014 GM 6.6L Duramax LML - GM's factory transmission lines leave something to be desired. 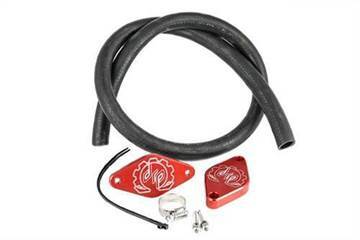 DRP's 1/2-inch cooler line kit completely replace the OEM lines with 1500psi rated industrial hydraulic lines. 2015-2016 GM 6.6L Duramax LML - GM's factory transmission lines leave something to be desired. 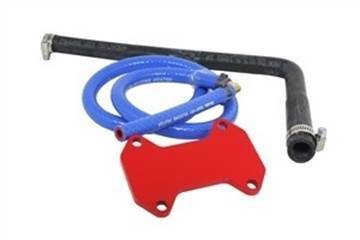 DRP's 1/2-inch cooler line kit completely replace the OEM lines with 2300psi rated industrial hydraulic lines. 2001-2005 GM 6.6L Duramax LB7 LLY - GM's factory transmission lines leave something to be desired. 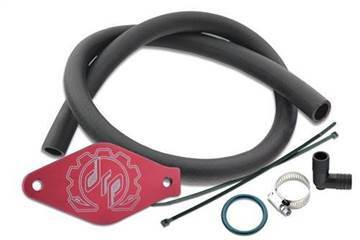 DRP's 5/8-inch cooler line kit completely replace the OEM lines with 1500psi rated industrial hydraulic lines. 2006-2010 GM 6.6L Duramax LBZ LMM - GM's factory transmission lines leave something to be desired. 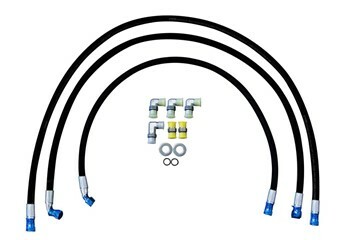 DRP's 5/8-inch cooler line kit completely replace the OEM lines with 1500psi rated industrial hydraulic lines. 2011-2014 GM 6.6L Duramax LML - GM's factory transmission lines leave something to be desired. 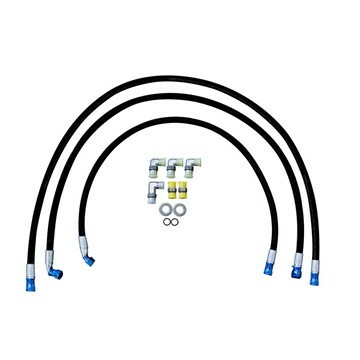 DRP's 5/8-inch cooler line kit completely replace the OEM lines with 1500psi rated industrial hydraulic lines. 2015-2016 GM 6.6L Duramax LML - GM's factory transmission lines leave something to be desired. 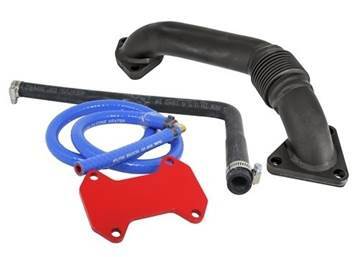 DRP's 5/8-inch cooler line kit completely replace the OEM lines with 1500psi rated industrial hydraulic lines. DRP's new design addresses being able to place a return sump under the factory sending unit in the tank. This is the sweet spot for all fuel levels. Only one hole needs to be drilled.